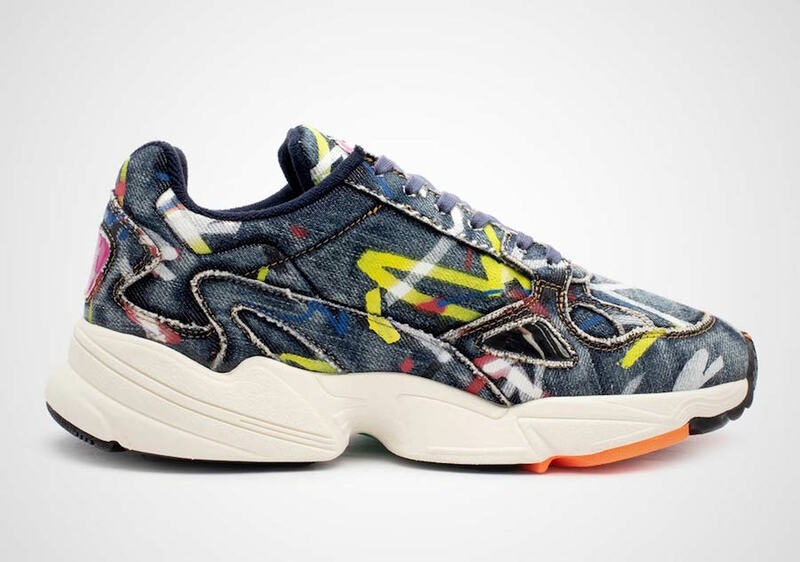 The adidas Falcon is making waves this year. First released earlier last Summer as a women’s exclusive, the retro silhouette is starting to hit retailers in a wide variety of colorways, like this reworked denim pair expected to hit shelves soon. 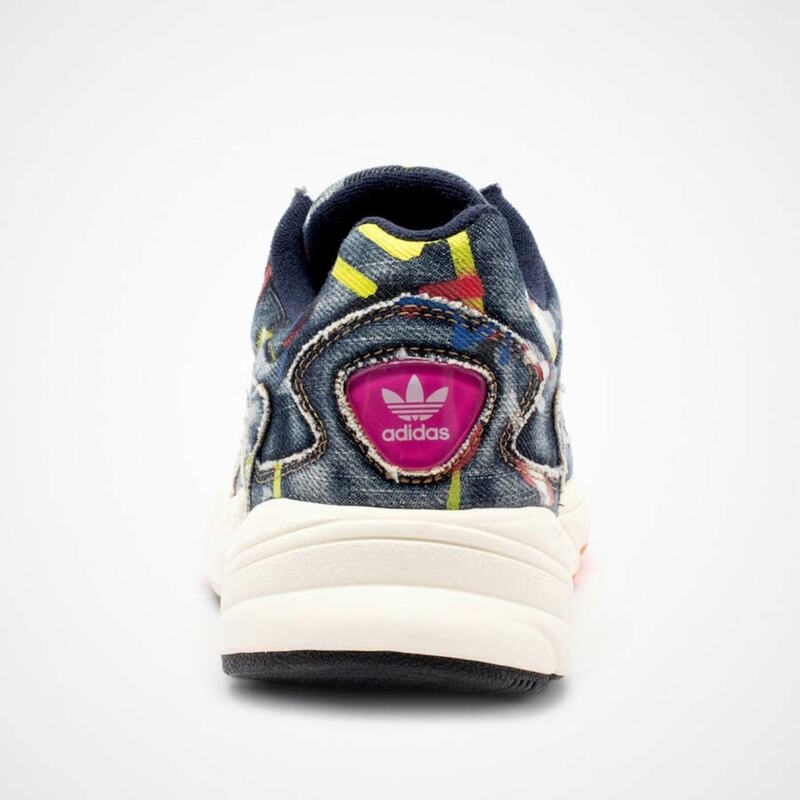 The adidas Falcon is one of the most popular lifestyle shoes for women currently on the market. The Three Stripes are well aware of this, thanks to successful marketing campaigns backed by influencers like Kylie Jenner. Since the Falcon’s return earlier last year, adidas has been constantly putting out new colorways to help feed the massive demand. While they have already released a handful of eye-catching colorways, the latest version to surface online might be the most interesting yet. The next Falcon ready to release has been reworked with an all-denim upper, stained by a random collection of various colors of paint. The jewel-like adidas branding around the shoe comes in either pink or purple while an orange and green tinted outsole complete the look. The next drop of the reworked adidas Falcon is expected to release soon, though no official date has been announced yet. The distressed denim look will retail for an elevated $120 price tag and launch from both adidas and select retailers. Check out the official images below for a better look, and stay tuned to JustFreshKicks for more adidas release news. 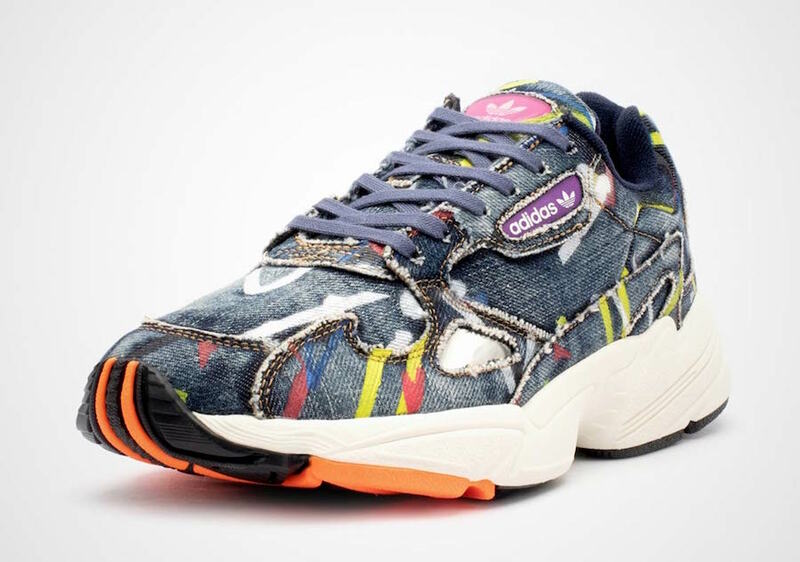 The post The adidas Falcon Gets Wild With a New Painted Denim Look appeared first on JustFreshKicks.